- Carte d'Or - Leuthen I. SWB mareline 42. The mother Havanna was given double diploma when she did her 3 year test. She received 48 points as a show jumper. She has achieved a 2 star rating as a selected mare by SWB. She has been a broodmare most of her time due to an injury. She comes out of mare line 42 and the ancestor Lora that was imported from Hannover to Sweden early 1900. Havanna under rider as 5yr old. There are lots of approved stallions out of the mare line both within show jumping, dressage and eventing. Verdi 434, Gastronom 489, Pointjack 957, Lambourghini 1028, Aer 1014, Algot 1182 and Canvas Plus 9004. Lisel, Irco Mac, Sunshine Silhouette, Gandhi, Lumette, Hugin I och Algot. The half brother of Catapult Plus, Canvas Plus 9004 approved in OS, was purchased by Lisen Bratt Fredricson from me. 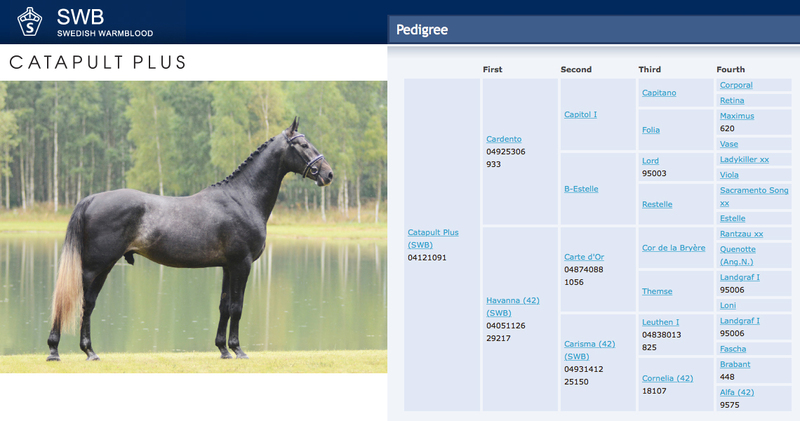 He was one of the most promising Cardento sons bred in Sweden. Sadly he passed away in the wake of surgery from varicocele just turning 6 years. 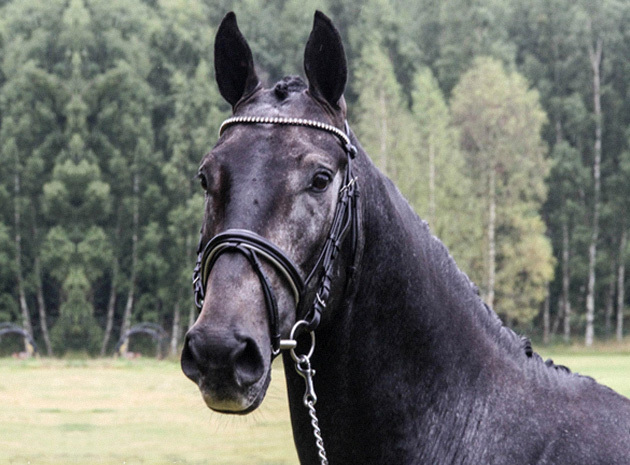 Canvas Plus when Lisen Bratt Fredricson bought him as a 5-year old. Canvas Plus' mother Cashmere Plus, was competed up to S-class by an amateur before her career ended caused an injury. 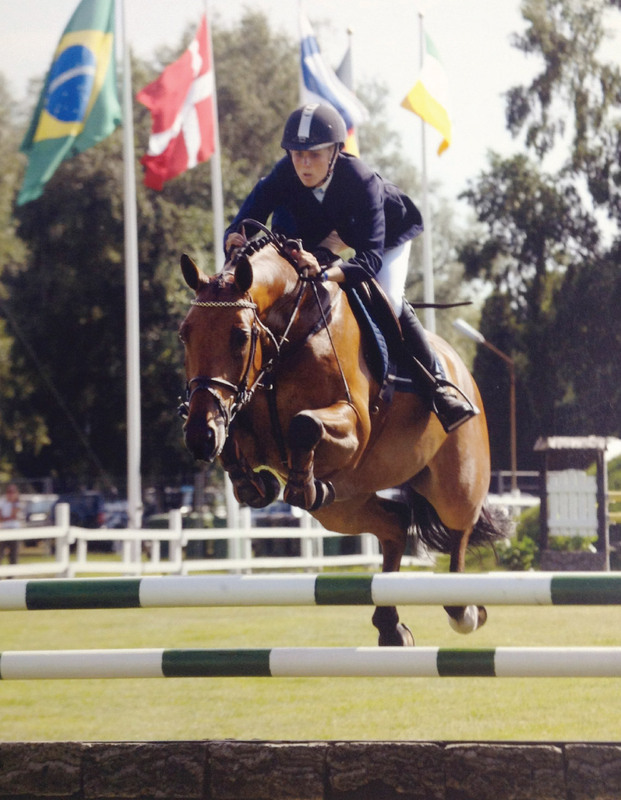 Cashmere Plus in Lanaken representing Sweden as a 5yr old before she was sold to the amateur. 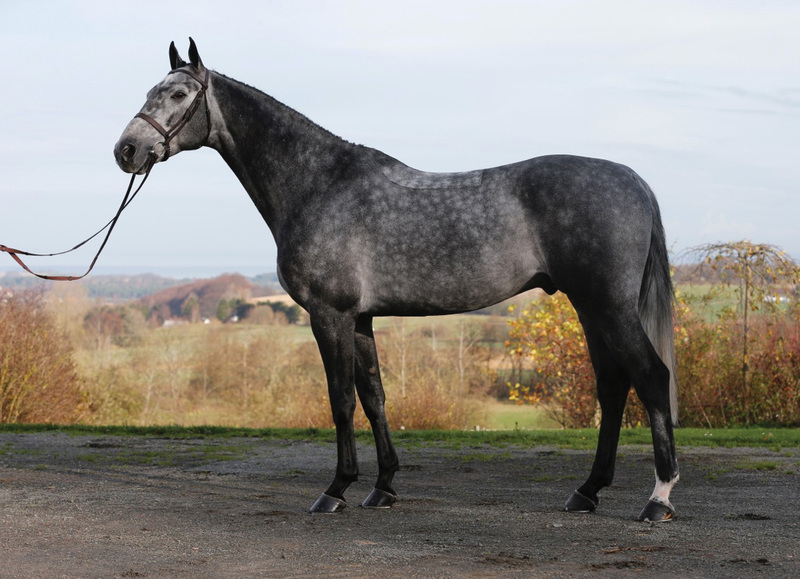 Cashmere Plus' full brother, Carl Philip, renamed in the US to Air Apparent, was competed up to 135 by Erika Lickhammer. He won as a 6 yr old the Belgian championships for 6 and 7 year olds and was exported to the US where he still go Equitation Classes 130 with the lady who bought him from Erika. 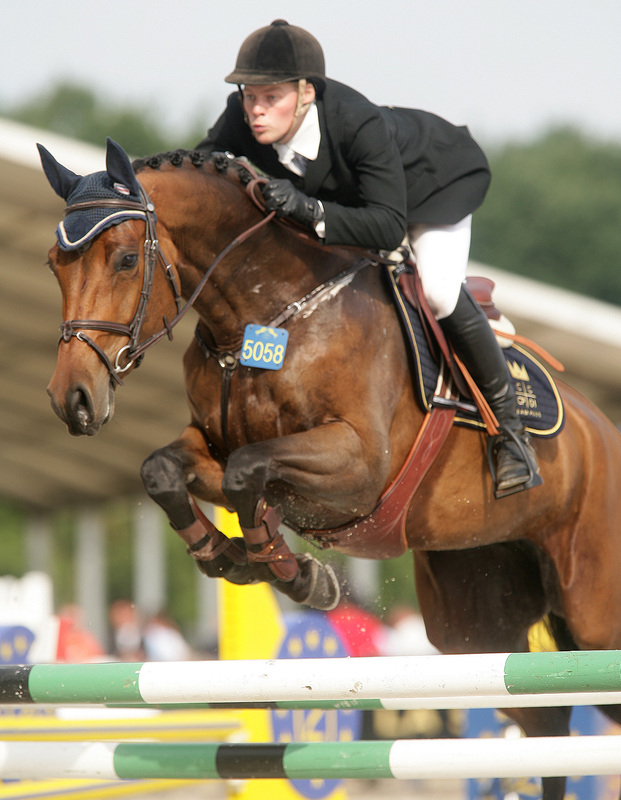 Erika and Carl Philip in the Belgian championships.